Session Buckets can be used to track and organize your sessions. This can be useful if you want to follow-up on sessions at a later time. You also have the ability to set an alarm on each bucket. Note: Adding a session to a bucket does not remove it from your reporting, invoicing, or payment screens. It is simply a designation. Navigate to Schedule > Buckets. Enter a Name and, if desired, a Description. Click Save Session Bucket. The bucket will now appear in your list. View Contents - Click on the number under Sessions to display all sessions that are in that bucket. 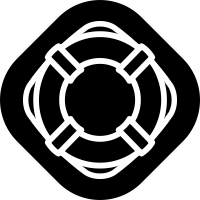 Alarm - Use this icon to set up an alert. For more information, please see: Alarms. Edit - Use this icon to change the bucket name or description. Delete - Use this icon to remove the bucket. This will not delete any sessions that are currently in the bucket. Select the bucket you want to add the session to. If you want to create a new bucket for this session, enter the Name and select Create. You can add a description later by going to Schedule > Buckets. Besides viewing bucket items from Schedule > Buckets, you can also access the buckets from your Dashboard. Any bucket with sessions will display on the left-hand side under Session Buckets. Simply click on a bucket's name to open it. Select Bucket - This drop-down allows you to easily switch what bucket you are viewing. Edit - Selecting this icon will open the Edit Session window. Delete - Selecting this icon will remove the session from the bucket. It will not delete the session from the system.